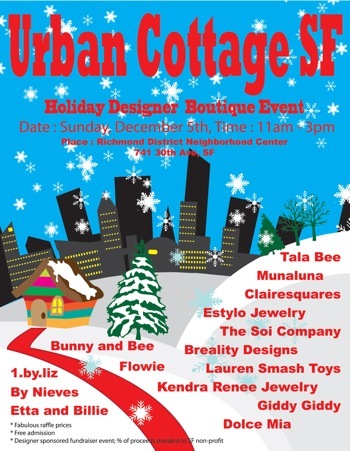 Faez Fathi, 1997 School of Fashion alumnus, his wife Jen and their Hip urban kids’ and adult wear designs company Bunny and Bee will be hosting their annual Urban Cottage SF Designer Shopping Event featuring 15 designers (some are alums!) and an array of amazing products. 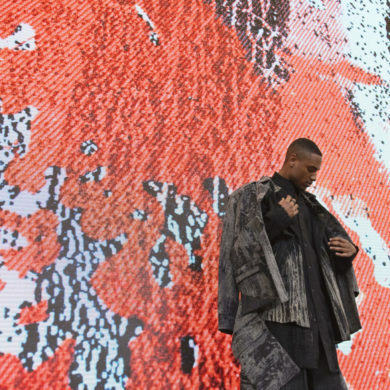 This free-admission event is a fundraiser and the designers are donating 20% of their proceeds to SF Public School Education. There will be lots of designer raffle prizes equaling more than $1,000! Designers and their websites are below. Take a look and make your shopping list! Flowie – Gorgeous textile accessories, tees and home décor by 2008 BFA Textile Design Alumna Ya-Ling Hou.